New high-end male grooming salons and barbershops are popping up in cities around the country. Men are paying premium prices at these places to get everything from a haircut and a shave to a wax and mani-pedi. According to research company, Statista, this global male "pampering" and grooming culture is a market that is estimated to be worth about 29.14 billion U.S. dollars by 2024. Joining us on #ETHINKSTL today are identical twins Eugene and Erik Potts of Original Gents ... See More Menswear. They are natives of St. Louis and grew up in Walnut Park.They attended Cardinal Ritter College Prep HS and graduated from Beaumont HS to answer the customary St. Louis "Where'd you go to HS" question. They served in youth organizations and were active in the community. In their early years, people knew them as hard workers and entrepreneurs. They also earned notoriety as rising stars in modeling. 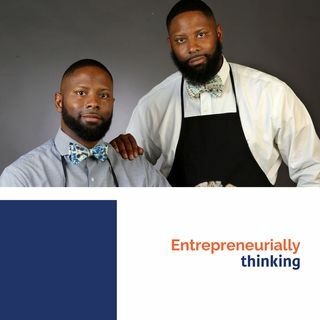 They have built upon their positive community reputation to create successful and lucrative men's product line and premium grooming businesses. - Their backgrounds include cosmetology, chemistry as well as business. How those experiences shaped the businessmen they are today. - What is the "Gentlemen's Mindset"